Stele Forest (aka Xi'an Beilin Museum or Xi'an Stele Forest Museum) is a museum for housing steles and stone sculptures in all ages. It was originally built in 1087 and rebuilt in 1944. 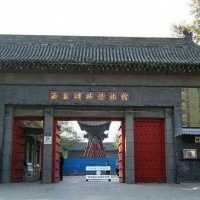 Located in No.15 Sanxuejie Street, Xi'an, it is the biggest museum for steles of the country and extolled as the treasure trove of Chinese calligraphic art. Its name comes from its huge collection of steles, reminiscent of a forest. One of the more extraordinary exhibits in the museum is the Forest of Steles, the name given to the collection of the heaviest books in the world. The earliest of nearly 3,000 large engraved stone tablets dates as far back as the Han Dynasty and the collection spans a 2000 year period. 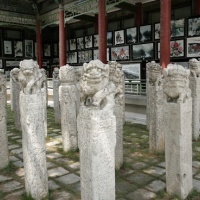 Most of them were carved in the Tang Dynasty. Ink rubbings of the steles are available for sale. Among the unusual example is a 18th-century stele depicting a Yangtze River flood control project. Another appears to be a bamboo forest, but on examination the leaves and branches form a poem. 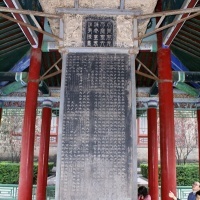 Most interesting is the "Popular Stele of Daiqin Nestorianism" (or Nestorian Stele). It's inscribed in both Chinese and Syrian and stands just to the left of the entrance of the hall containing the collection of tablets, it's recognizable by the small cross which is inscribed at the top. The Nestorians were a Syrian Christian sect whose disciples spread eastwards to China via the Silk Road; Macro Polo mentions making contact with members of the sect in Fuzhou in the 13th century. The tablet in the museum was engraved in 781 AD to mark the opening of a Nestorian church. It describes how a Syrian named Raban came to the Imperial court of Xian in 635 AD and presented Christian scriptures which were translated and then read by the emperor. The emperor, says the stone, was impressed and ordered that a monastery dedicated city. The Nestorians believed that Jesus was actually two people, one divine and one human, as opposed to the orthodox Christian view chinch regards him as one person who takes the three forms of the farther, son and holy sprit. 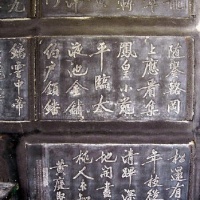 Other tablets in the museum include the "Ming De Shou Ji Stele" which records the peasant uprising led by Li Zhicheng against the Ming and the "Stone Classics of Kaichen"Xian Stele Forest which are 114 tablets made during the Tang Dynasty inscribed with 13 ancient classics and historical records. 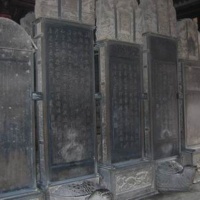 Some others are also famous such as the Cao Quan stele (Han Dynasty), Sima Fang Stele (Jin Dynasty), Duobaota Stele, Qianziwen Stele and the Kaicheng Shi Jin Stele etc. Apart from the ancient steles, the Temple of Confucius in the Museum is also a highlight because it still keeps many buildings of the Ming and Qing dynasties, where you can see a number of Chinese architectures such as the screen wall, archway, Banchi pool, Lingxing gate, Ji gate, ornamental columns (cloud pillars), pavilions and temple halls and so on. The temple has two national treasures: one is the Jinyun Bell, made in the Tang Dynasty; the other is Daxia Stone Horse, carved by the Daxia State during 304-439 AD. 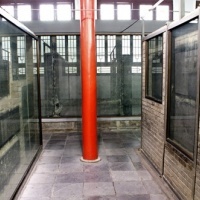 The Beiling Museum is rich in "rare relics" (over 11,000 items). There's an interesting collection of artifacts including a tasteful gold-plated bronze horse of the Western Han Dynasty. Another interesting exhibit is a tiger-shaped tally from the Warring States Period, inscribed with ancient Chinese characters and probably used to convey messages or orders from one military commander to another. 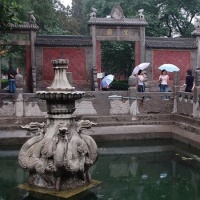 To know something about the Chinese calligraphy and the greatest Chinese calligraphers, the Xi'an Stele Forest is the optimum attraction in China.